Space-age looking boots are rapidly growing in popularity, especially among athletes who put them on between competitions and practices. Athletes do not go for them because they are the latest in the world of athletics; but because they offer a recovery method. They offer an intermittent pneumatic compression (a therapeutic, controlled pressure cycle) to the limbs, to help revive the legs and make them ready for the next competition or practice. So, what is compression therapy? Compression has been used as a recovery method; thus, it is nothing new. Today, more than a few athletes go for compression shorts and socks after workout. And research states that there is a relationship between compression garments and reduced muscle soreness after workouts such as sprinting and plyometrics. Compared to other compression therapies, pneumatic compression tend to be more intense. Here, the sleeves (which resemble a larger version of a blood pressure cuff) are equipped with numerous chambers that are attached to a pump and control unit. The chambers are programmed, so they can offer sequential, pulsating compression to a particular area. According to Chris Contini, a recovery specialist at Denver Sports Recovery in Colorado, the compression sleeves mainly engage a lymphatic flush. And this helps remove waste products, eliminate inflammation and swelling, and promote a healthy blood circulation throughout the body. Compression therapy is totally different from many modern recovery methods in that it is mainly based on medical science. Medical departments have had such devices as Recovery Pump, NormaTec Recovery, and Sports Pump. Well, these devices were initially designed to treat lymphedema (a swelling often stimulated by the removal or damage of lymph node), manage circulatory disorders, and prevent deep vein thrombosis. According to studies, this recovery technique has brought in significant improvement among athletes. It accelerates recovery after training and helps enhance flexibility as well as range of motion. NormaTec based in Massachusetts holds the biggest market share in the sports world, and according to their website, top NCAA programs (including NFL, NBA, and NHL teams), the US Navy SEALs, and the US Olympic Committee all use the recovery technique on a regular basis. The Kansas City Chiefs and the Boston Celtics have even gone an extra mile to dedicate full rooms with these compression units. These rooms also have both cold and warm whirlpools, which should be used together. In a video interview, Ed Lacerte, Celtics Head Athletic Trainer, agreed that compression therapy is easy to use, especially when you are on the road. He also said that the team can take with them the recovery room anywhere they go; thanks to compact size of these compression units. Ideally, some units come equipped with rechargeable batteries, and this makes them ideal for players who can use them to allow their limbs to recover while they are in the hotel rooms or on the bus/plane. Many people would disregard the testimonials of top athletes concerning the benefits of compression therapy as an advertising hype. But, this is not usually the case. 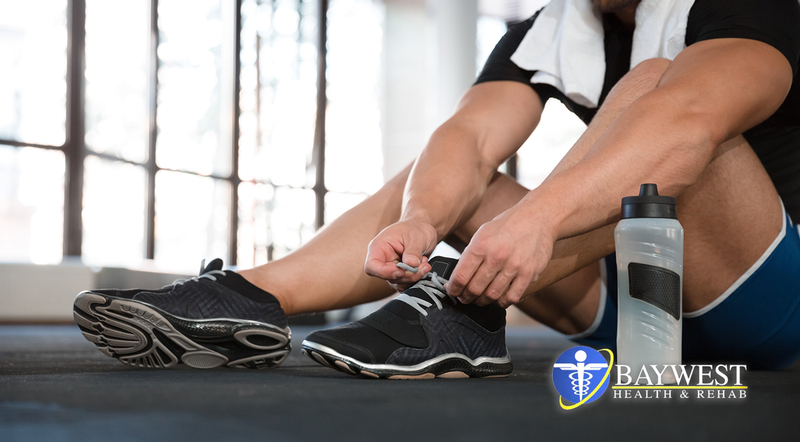 Several athletic trainers, physical therapists, and other healthcare practitioners have regularly prescribed this treatment to their clients. Brian Hart, a chiropractor at Thompson Healthcare & Sports Medicine, holds that in a day, he and his team prescribe this treatment technique at least 40 times. They do this at their 6 clinic locations with the aim to help their clients recover after an exercise, as well as to treat and reduce edema. He also points out that no one has ever had any sort of a side effect from the therapy. Instead, all they say are positive things concerning the technique. Today, everyone; from a professional athlete to a weekend warrior, is making a stop into sports recovery centers to have a compression therapy. Monthly membership at Contini’s facility starts at $85 and drop-ins go for $25 per day. Although you can feel the refreshing effects of the therapy in just a single session, Contini advocates for continued use for optimum results. He says that clients typically use the compression units 2 – 3 times a week though there are some who use it frequently for 5 – 6 times a week. In general, the more often you use a compression unit, the more you are likely to gain. You can also purchase the unit, especially if you want to have unlimited access to the equipment. Prices currently range from $1,200 to $3,000 per unit. Chipper Nicodemus, San Francisco’s Golden Gate Triathlon Club athlete, trains up to 6 days per week when practicing for half and full ironman races. That means he endures around 15 hours of bike, run, swim, and even strength training every week. For this reason, he decided to buy a pair of NormaTec boots, which he uses a few times every week, up to one hour per session. He often looks forward for that time he would have the chance to sit down and literally have his feet up for 20 – 60 minutes after a tough ride or run. According to him, this time is amazing and it helps him relax as well as flush out his legs after a really torrid session. He adds that the unit makes his legs feel fresher and less tired when he walks around for the rest of the day.